You won’t find a more adorable look anywhere than the Speedo Dotty Frill Girls’ One Piece! This stunning lily blue one piece with daisy white polka dots has a golden yellow accent collar, and frilly magnolia white sleeves with lily blue polka dots. Ever since they started way back in 1928 in Bondi Beach, Australia, Speedo has become the world's top-selling swimwear brand. With their Endurance+ fabric, it’s easy to see why! This unbeatable fabric lasts an amazing 20 times longer than standard swimsuit fabrics. Offering extended pool-time without the wear and tear, their amazing girls’ one pieces will stay looking amazing for ages. 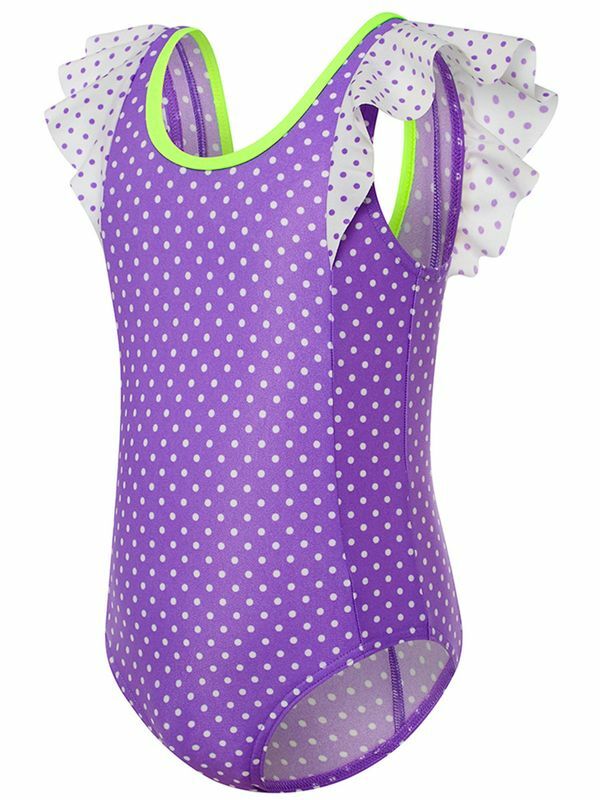 Dotty Frill Toddler Girls One Piece manufactured by Speedo Swimwear the worlds leading swimwear brand. Speedo is passionate about life in and around the water, creating revolutionary new technologies, designs and innovations.